RRP Drill pipe split dual wipers are manufactured using a very special rubber compound, which offers tremendous resistance to cutting, tearing, abrasion, water and oil-based muds. These wipers are specially designed for the application on drill pipes, which should be placed above or around the drill pipe just below the rotary table, where a solid master bushing is used. they aid in keeping hydrocarbon seepage to a minimum while under pressure. They clean rods of excessive oil and waxes to provide a safer working environment. Size: 5. 15 o. D. 0. 609 ld. 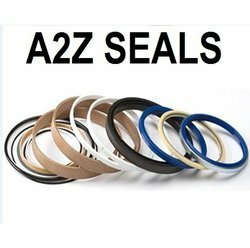 Our DHS Wiper Seals is good in quality and competitive in price. We manufacture DHS Wiper Seals and supply OEM, ODM service according to your requirement. We are the most trusted name amongst the topmost companies in this business, instrumental in offering high quality array of Steel Rod Wiper. We are offering a superior quality range of Rod Wiper. These are designed specially from Rod Wiper. 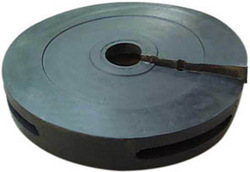 These line bellows are available in various sizes. These are designed at par with international quality standards and norms, and are manufactured using premium quality raw material. We are involved in offering Rod Wiper, which is made by talented experts who use the advanced techniques. K51 is a single acting pneumatic rod seal specially designed not to require additional element for axial fitting within the housing. Recognized in the industry as an eminent organization, we are engaged in offering Split Rod Wiper Rod.